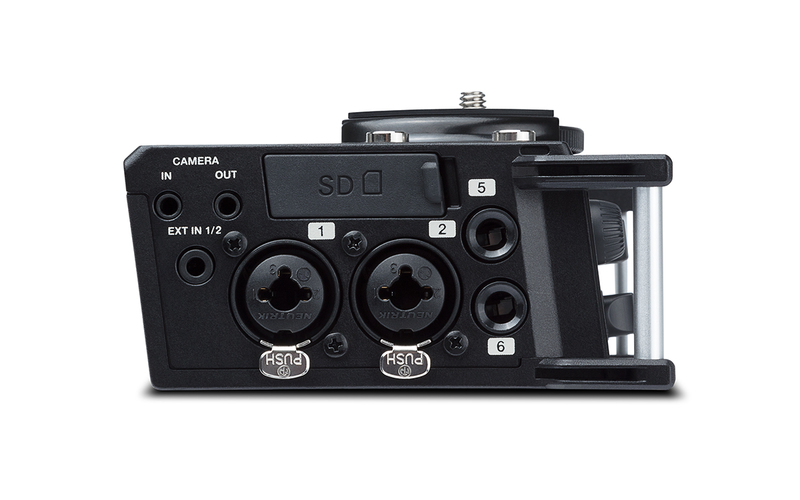 By utilizing the included DSLR camera mounting bracket, the PMD-706 satisfies the requirements required by professional DSLR recordists. 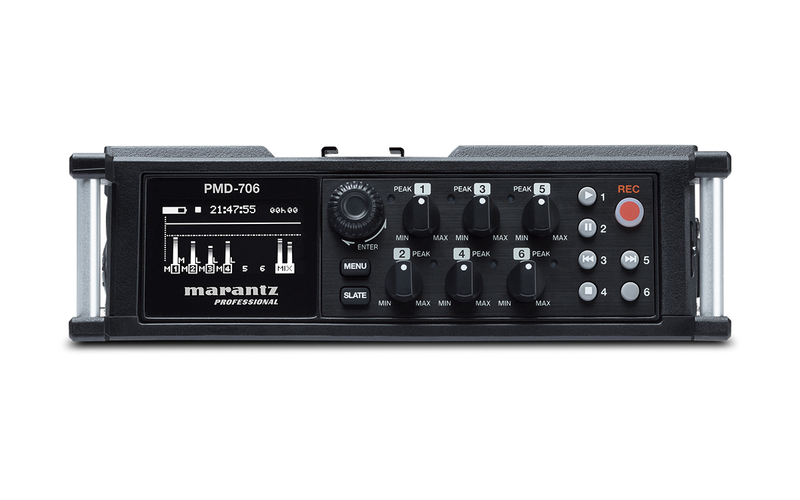 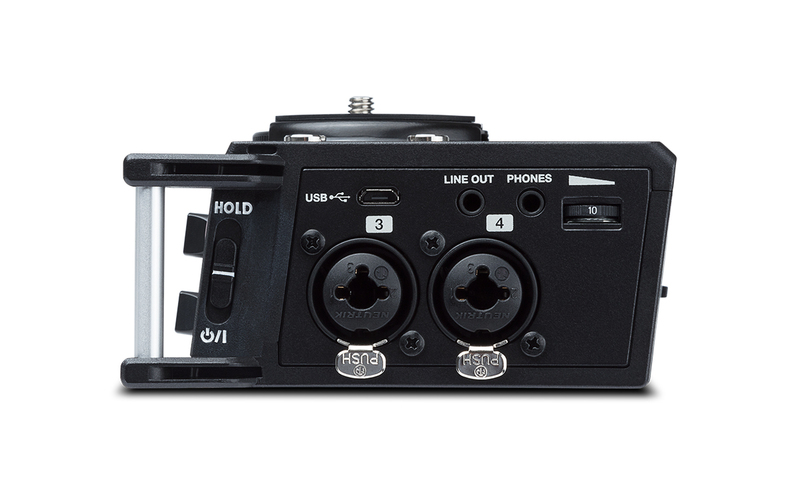 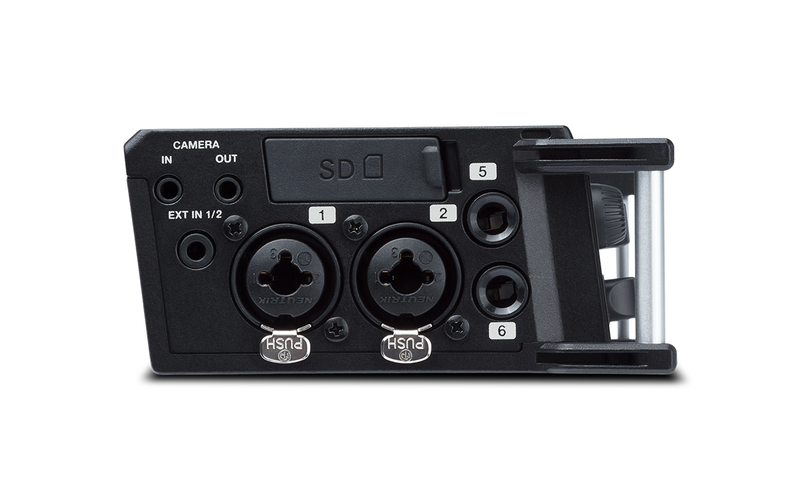 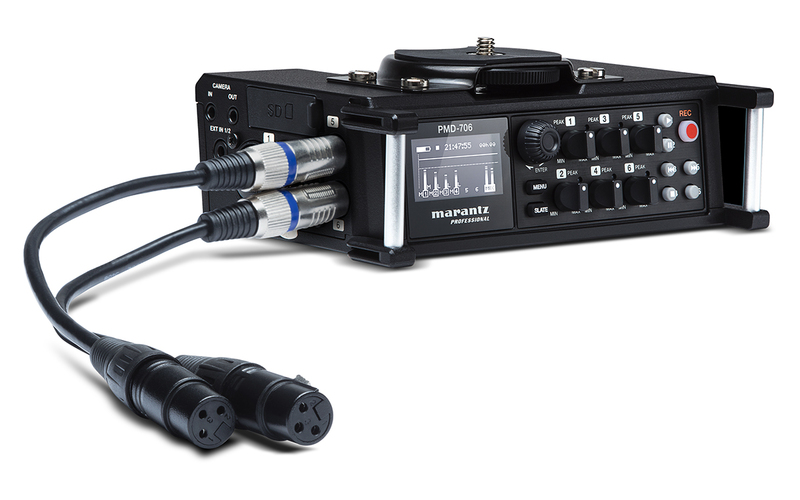 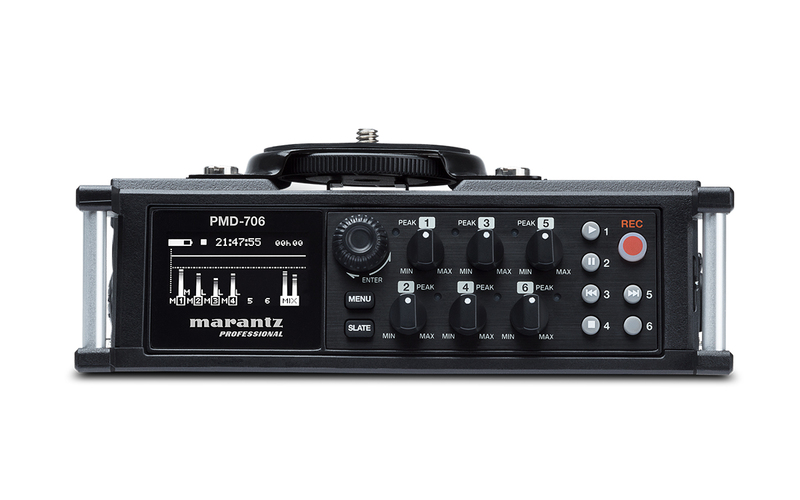 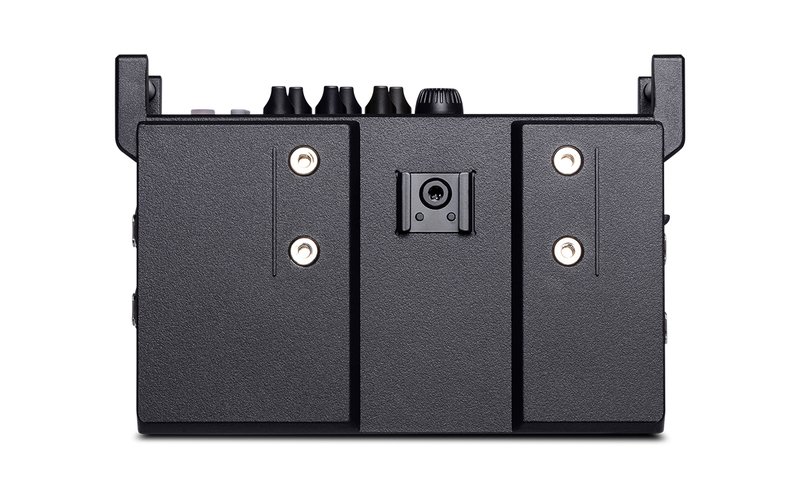 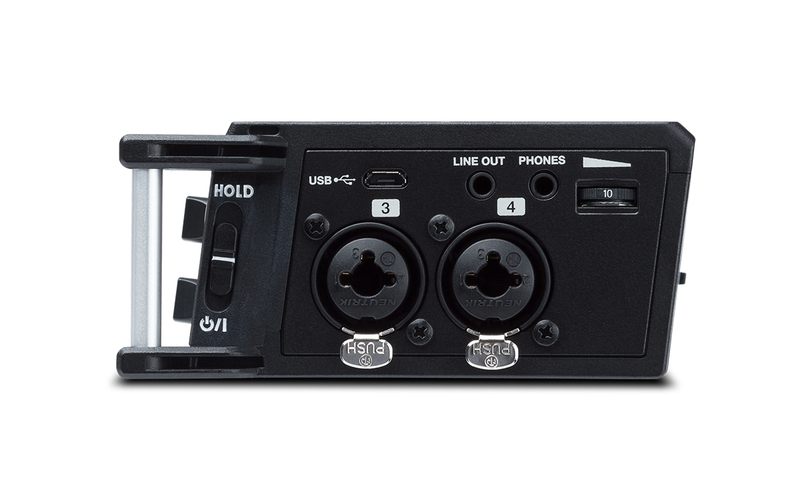 This 6-channel recorder excels when attached to a camera or camera rig. 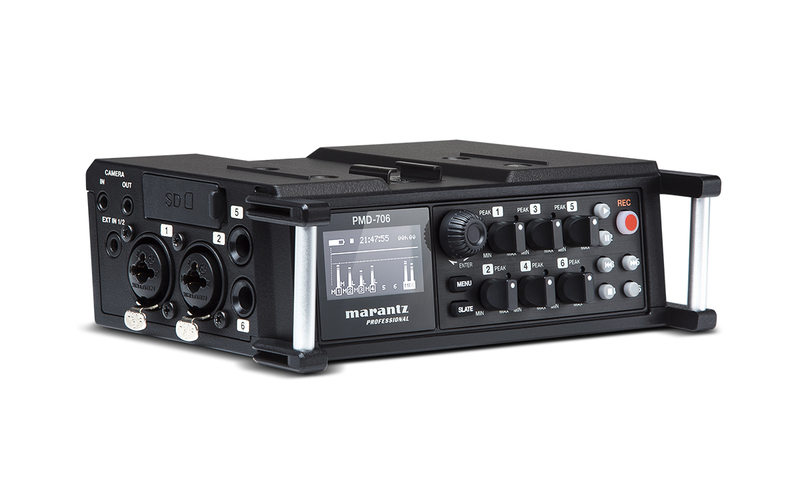 The PMD-706 comes standard with file encryption ability to keep recordings safe from unauthorized access - offering the maximum security for sensitive information. 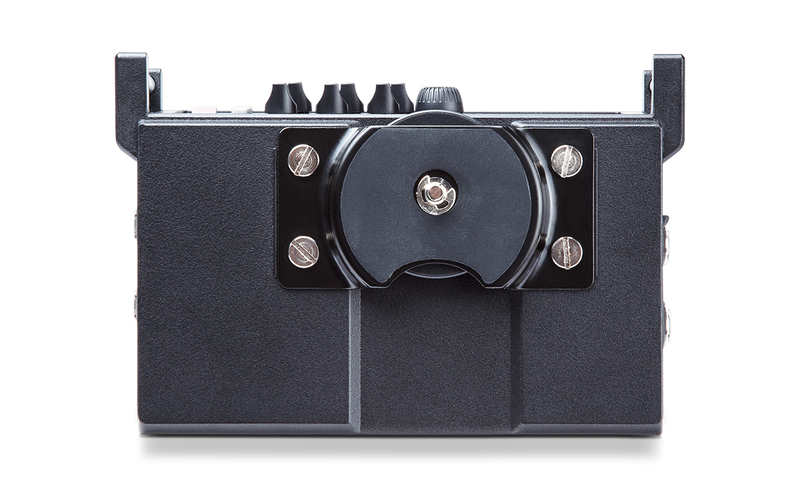 This works by encrypting WAV files to WAS files. 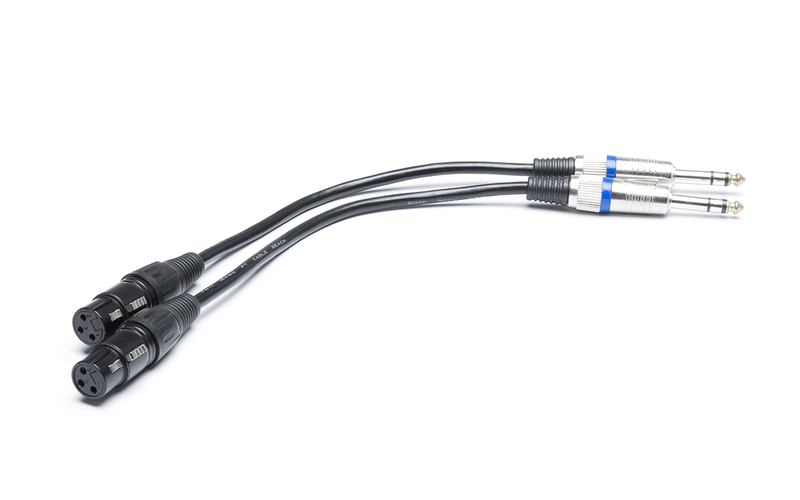 These encrypted files utilize a 4-digit password protection feature so that only those with the 4-digit key can open and play the files. 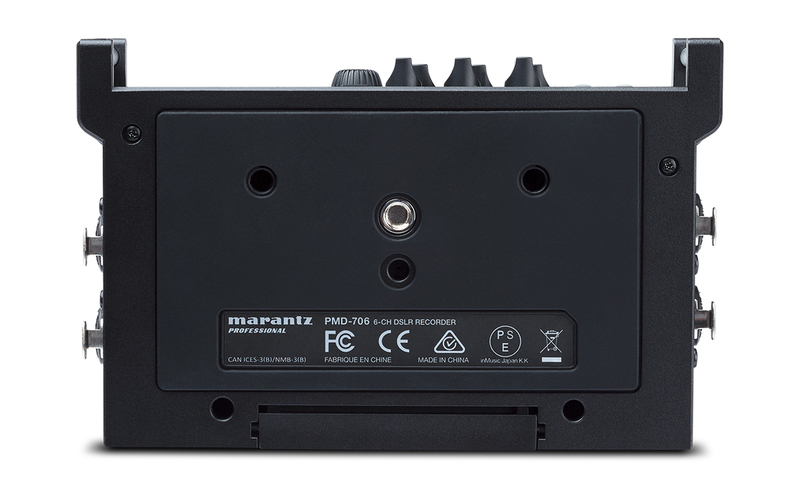 To play encrypted files on a computer, use the DMP Mark Editor v2.0.0 software - available in the Downloads section.